Whether you are looking for a fire pit to decorate your garden and become a centre piece on your patio during those garden get-togethers or you simply want to warm up on those chilly summer evenings – let’s face it the weather is so unpredictable we now prepare for all outcomes throughout the year, you will find a wide range of various types of fire pits in our garden range. We have your traditional wood burning fire pits that are not only your best option for outdoor heating, they also create a romantic ambience you simply cannot mirror. Some of our wood burning models are multi-functional and can be used for grilling also. We have gas fire pits that require less effort and come in more stunning designs. You tend to find more styles available in our gas fire pit range. 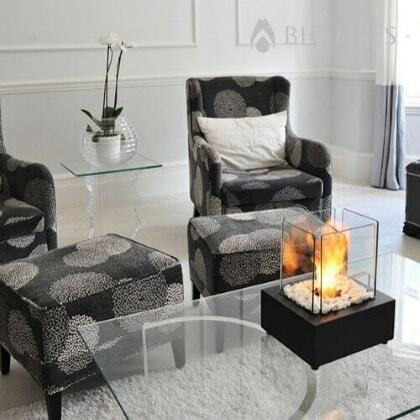 We also have tabletop fireplaces that use bioethanol fuel. These are a statement object – they have the same heat benefits but if you are style conscious and are looking for something to impress your neighbours you should take a look in their direction. Whichever type you prefer however we have an extensive range of fire pits so you’ll be sure to find something to suit you. There is nothing more satisfying than sitting in the sun, with your friends, drink in hand watching the sun set on a great day. Fire pits add a mesmerising glow to the picture and help you keep warm so you can spend more of the evening making memories. Take a look through the different options in our range and when you’ve found the one for you, get ready for plenty of lovely late nights relaxing in the garden. 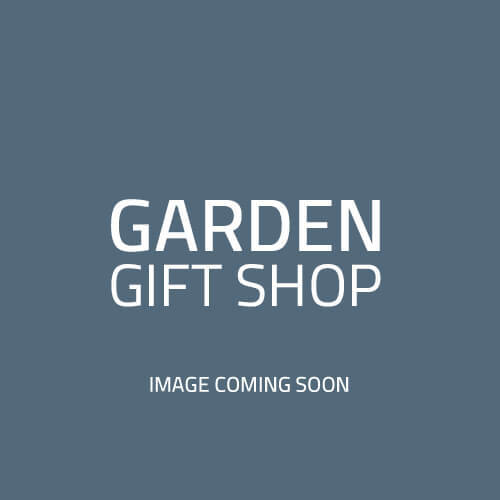 Here at Garden Gift Shop we are a firm believer in making your house a home. It’s where you spend most of your time and you deserve to have a place where you can unwind after a long day and relax in comfort. We don't believe your house needs to end at the front or back door either. You have a wealth of space in your garden that you can transform into a relaxing sanctuary with little effort. There is nothing better than relaxing in the garden on a warm summers evening. However we are aware the weather doesn’t always work like that. As the night draws on it tends to get a little colder but what if you’re not ready to end the fun? You don’t have to. 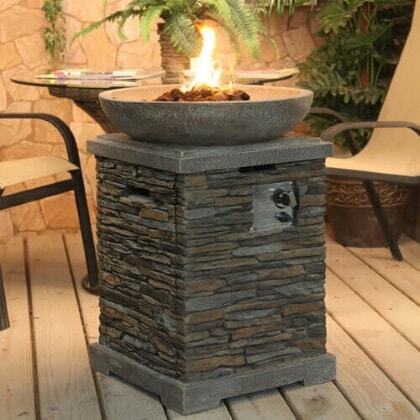 We have a stunning range of outdoor fire pits that provide the best outdoor heating solutions. Position in the middle of your seating area and continue with your party until you can’t keep your eyes open any longer. We can give you toasty toes but we can’t help you stay awake – sorry about that. Unlike some other outdoor heating solutions fire pits tend to be the most picturesque. 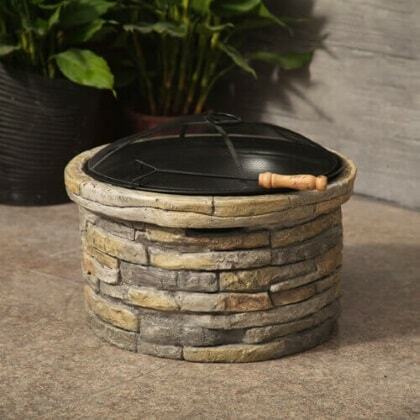 You can choose from a variety of stunning designs – whether you prefer a classic steel wood burning fire pit or a stylish stone fire pit you will find something to decorate your garden. Fire pits are as much about their visuals as they are known for their practicality. What fire pits can I choose from? You will get a choice of fuel when looking for a fire pit. Gas, wood burning or bio-ethanol. Wood-burning fire pits are more scented but some like them for that reason. Wood burning also require more effort and attention but they give off more heat and remind you of cosy winter evenings. Gas and bio-ethanol are easier to light and control and tend to be more decorative. You will also have a choice of material. Stone, metal and glass are common materials associated with more picturesque fire pits, whereas steel and brick are stronger materials ideal for wood burning fire pits. We have a vast range to choose from which ensures you can find the perfect choice for you.